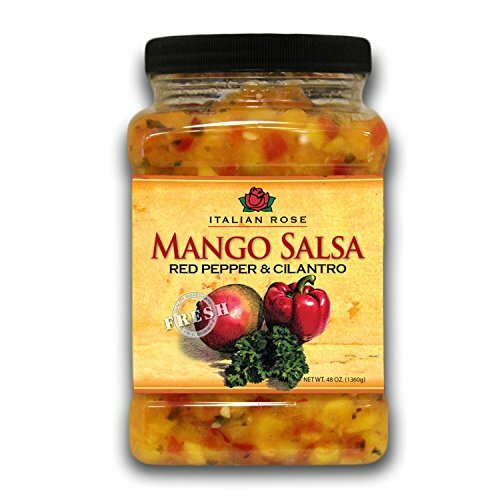 Tropical mango and fresh tomatoes combined with a sweet and spicy sauce create the perfect alternative to traditional salsa. Use to top grilled or blackened chicken or fish for a tropical flare. Simply serve with tortilla chips for dipping, and try with blue corn chips for a new flavor twist. If you have any questions about this product by Italian Rose, contact us by completing and submitting the form below. If you are looking for a specif part number, please include it with your message.